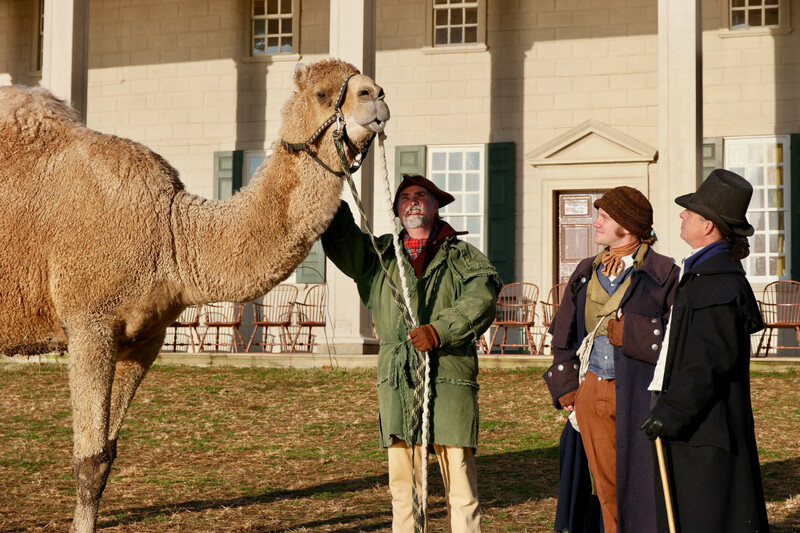 In 1787, George Washington paid 18 shillings to bring a camel to Mount Vernon to entertain his guests. 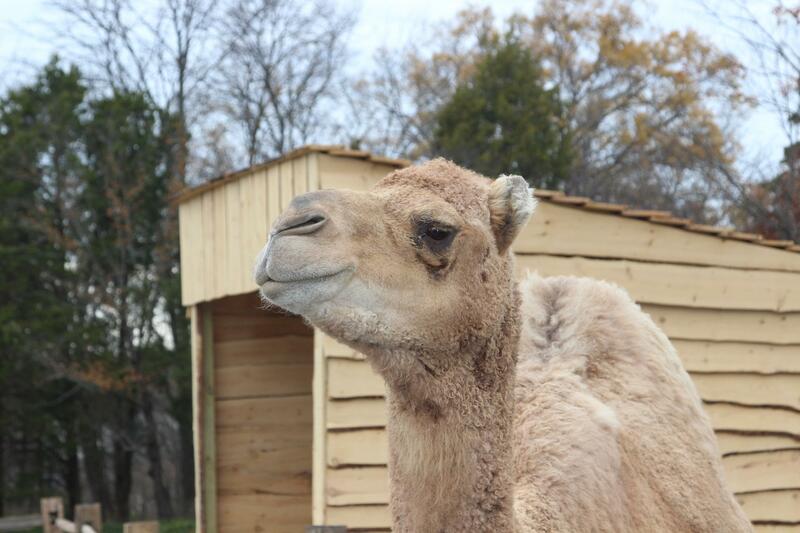 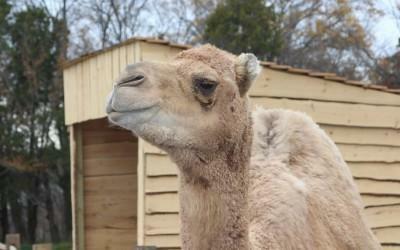 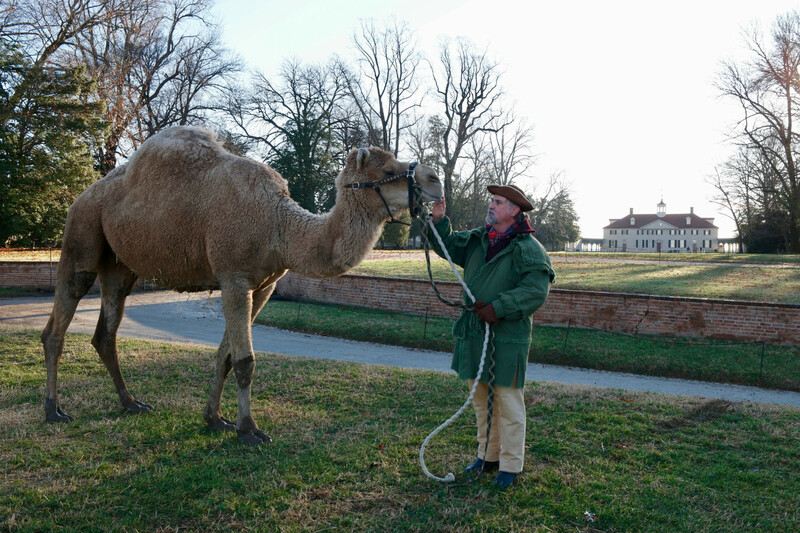 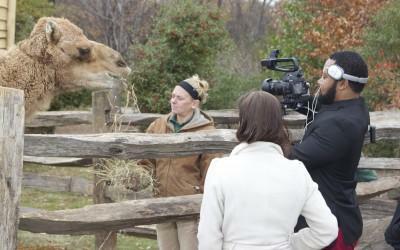 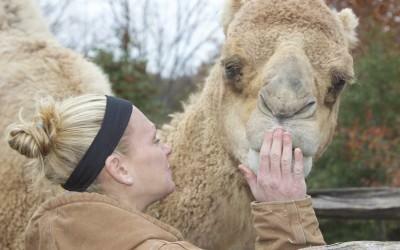 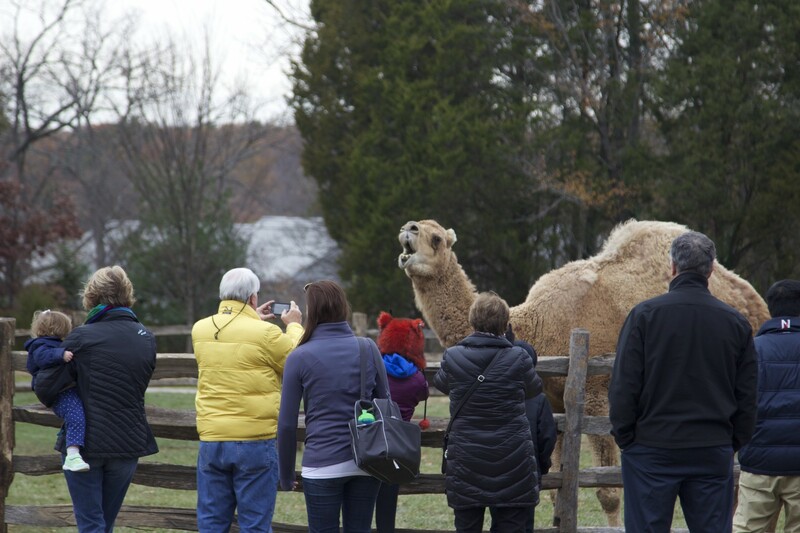 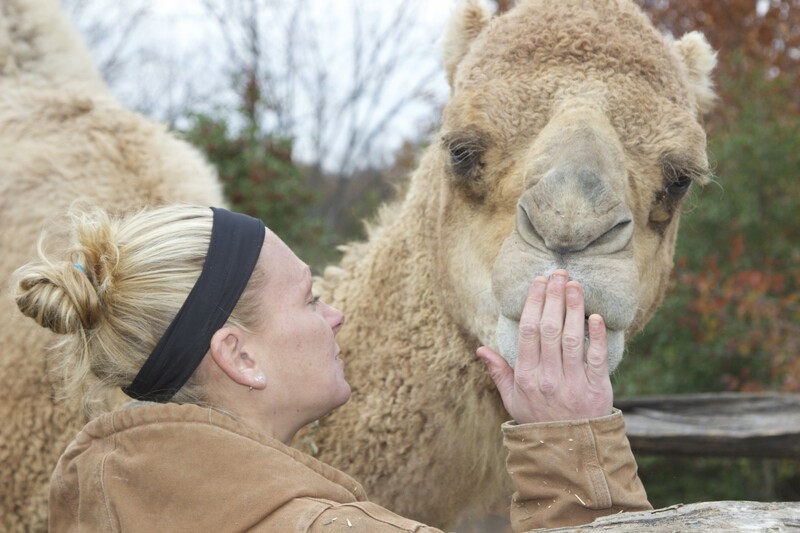 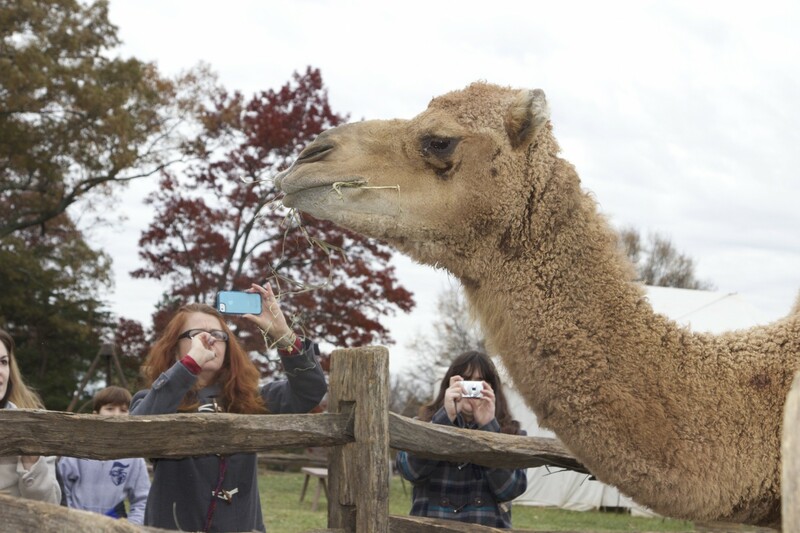 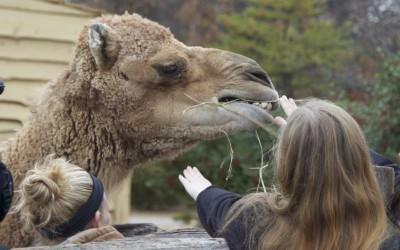 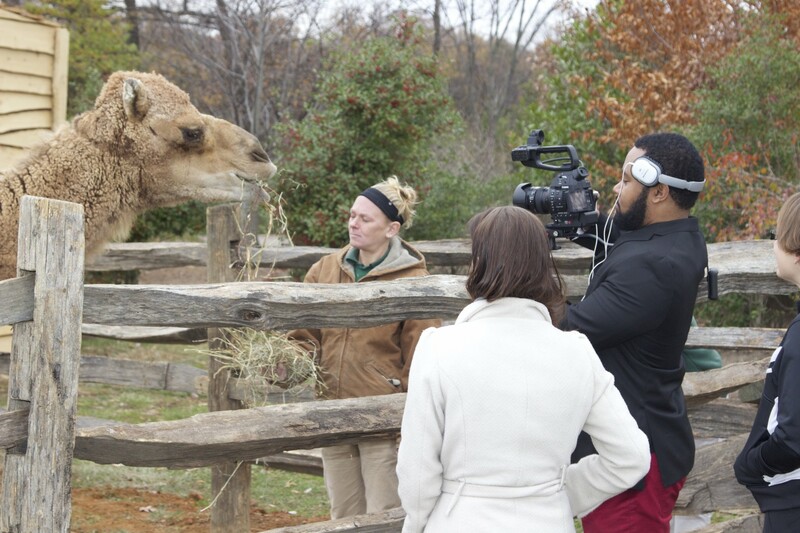 Now you can come to Mount Vernon and meet Aladdin, our very own Christmas Camel. 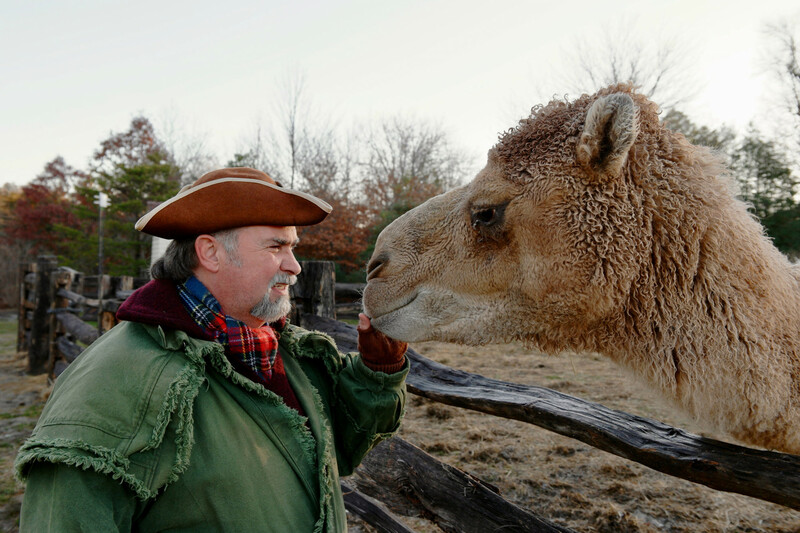 When he isn't visiting at Mount Vernon, Aladdin resides in Berryville, Virginia. 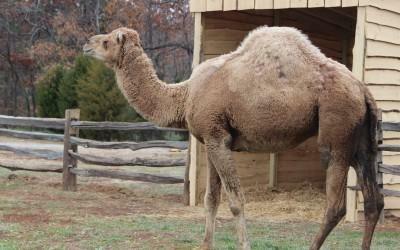 Aladdin was born in 2007, so he turned 11 years old in 2018. 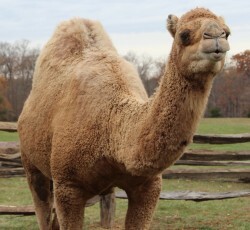 Most camels live to be 40-50 years old! 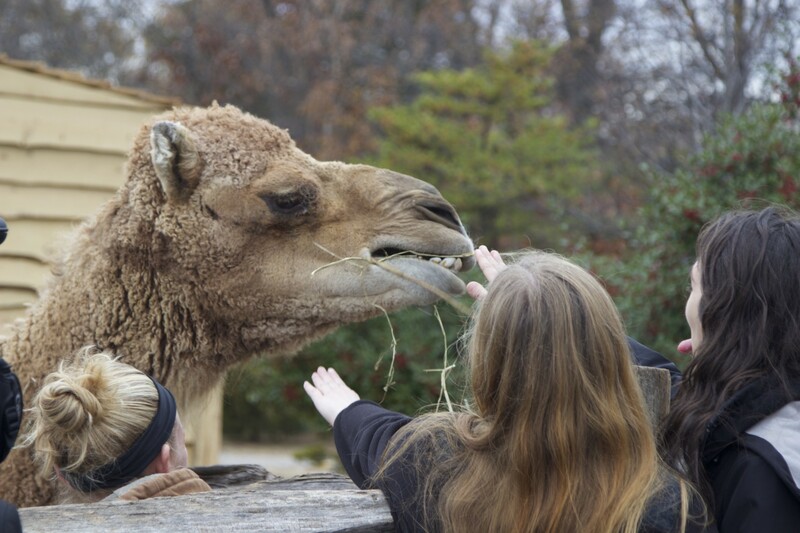 Camels like to eat green herbage. 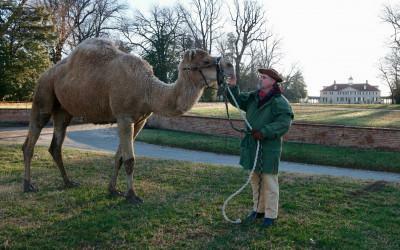 You can often find Aladdin snacking on the grass in the 12-acre field or on straw hay provided by his handlers. 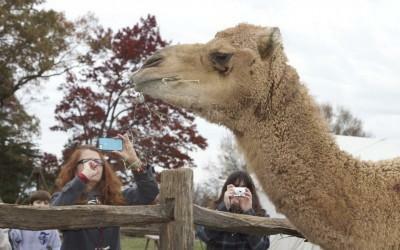 "By the man who brot. 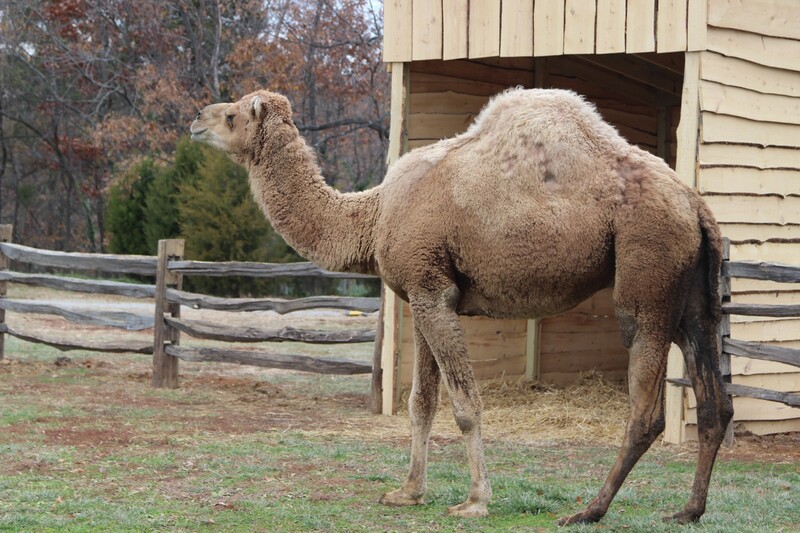 A Camel from Alexa. 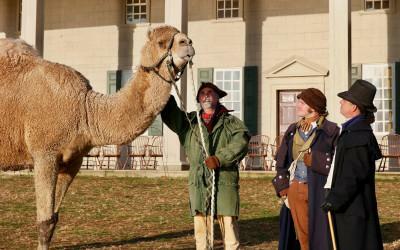 For a show. . . ."
These limited words found in George Washington's expense ledger are the only surviving mention of a camel's visit to Mount Vernon for Christmas in 1787. 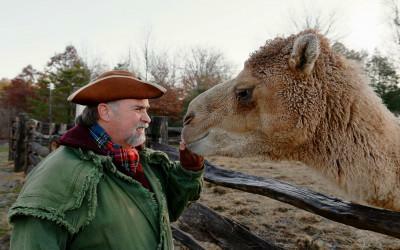 Take Aladdin Home With You! 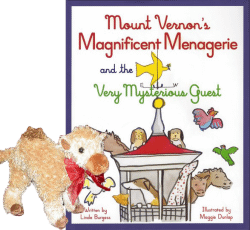 You can purchase a plush Aladdin doll along with the children's book Magnificent Menagerie that highlights all of the animals at Mount Vernon. 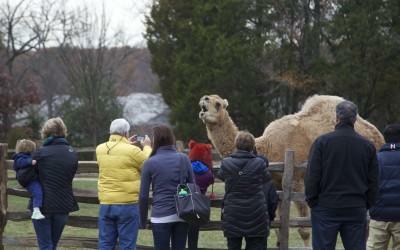 Available online or in the gift shop for a special price this holiday season.